"ONENESS" - Live Fully & Passionately in the Flow of Life! Live Fully & Passionately in the Flow of Life! Connect to Your Spirit Guides & Life-force! What is "Living in Harmony & Flow"? Earth and Sky - Sea and Stone - We Hold this Land in Sacredness! See also: The Principle of Universal Oneness - "All Things Are Connected"
living with appreciation, gratitude, love, compassion, wisdom, growth & maturation, interdependent. living with denial, illusion, defensive, regressive, anxiety/worry, (parasitic), co-dependent or independent, malicious, complaining. Living mainly in the "Here & Now"
Truth (not in wishful thinking or "A Fool's Paradise"
Self-awareness - Energy Quality - How is Your Energy Today? Exercise 2: "I am, I feel..."
A Gestalt-based spontaneous self-expression, self-acceptance and community-building exercise which builds self-confidence in being ourself - our unique manifestation of the flow of spirit. "How can we build our spiritual connection? How can "God", "Great Spirit" or "The Divine" become real to us? But we may have a "Behold" experience [sacred text or guru] - we see an alternative path (Scott Peck's 'Road Less Travelled') a seed is planted which goes through germination and growth etc stages (eventually producing its own seed) the plant gets hit by repeated disillusionment/suffering episodes which wither it for a while but can each time grown back stronger than before. List what you want added/more of, + list what you want removed/less of. Exercise 6: Enjoying the simple Ebb & Flow of daily life via "Only Love is Flowing..."
Exercise 7: Sacred Breathwork for healing & soul connection. If anything can reconnect you with your passion for life and your inner vision for fulfilment it is this moving and remarkable (also very funny) film. Jack Black plays unemployed slob and hell-raising guitarist Dewey Finn, who needs to make a few fast bucks after being kicked out of his rock band. Posing as his reformed rocker-come-substitute teacher flatmate, he falls into teaching a class of prepubescent stiffs. After over hearing the kids practice in their school orchestra, Finn decides to teach the kids "the power of rock", and fulfil his life long dream of entering the Battle of the Bands competition. Turbo-charged comic Jack Black shakes School of Rock to its foundations, wailing with born-again metalhead passion as Dewey Finn, a guitarist who gets kicked out of a band because he grandstands too much--or, to put it another way, enjoys himself. Through an intercepted phone call, Finn gets a job as a substitute teacher for a fifth grade class at a private grade school. Neither students nor teacher quite know what to do with each other until Finn discovers that some of his young charges can play instruments; at once he starts turning them into a blistering rock & roll troupe that can crush his former band at an upcoming competition. 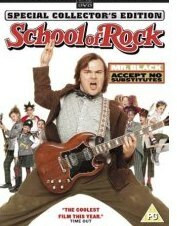 School of Rock is silly and formulaic, but director Richard Linklater (Dazed and Confused), writer Mike White (The Good Girl), and especially Black and co-star Joan Cusack invest the formulas with such glee that the movie is irresistibly fun. The DVD is like the movie, but the DVD extras are smarter and a lot more entertaining than your average flick. The making-of feature ("Lessons Learned") has the usual behind-the-scenes banter but Jack Black is in fine form - that is, something special - interviewing as much as being interviewed about the making of the film. His unique pitch to Led Zeppelin to use their song is alone worth the price of the DVD. Black is more his maniacal self and a bit more grating in MTV's Diary segment, but his commentary track with director Richard Linklater is as insightful as it is funny. OK, it's a lot more funny, but entertaining throughout. The commentary track featuring just the kid actors is less so, but any preteen would love listening to it. To top it off, the DVD-ROM has Dewey Finn's instantly famous blackboard history of rock. You can drill down to the bands mentioned and get a brief history of each. 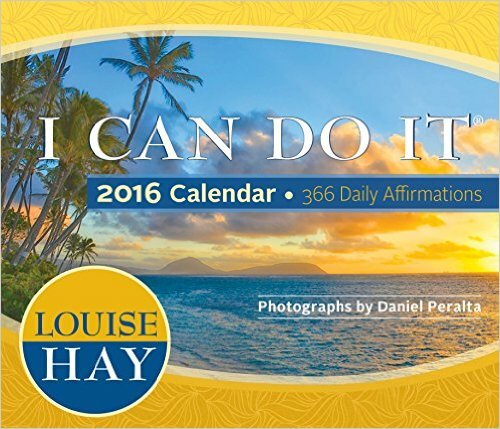 Positive Daily affirmations to Change Your Life, Lift Spirit, Elevate Mood, Inspire, Motivate and bring self-empowerment into your life. 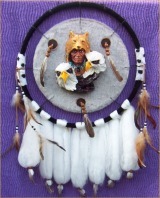 Healing Hands chi/ki/prana life-force cultivation video. A DVD guide to building up vital energy (chi / ki / prana) and clear your chakras (human energy field centres). Video film of a martial arts master demonstrating techniques and skills for energy healing, self-healing, Acupressure points, Theraputic touch. "Women Who Run with the Wolves: Contacting the Power of the Wild Woman"
Undoubtedly the most significant women's book of the twentieth century. A massive and incredibly perceptive book - a darn good read/browse/reference. Second-hand copies are available cheaply on this Amazon UK page. Also useful for the men in your life to read, so that they might understand you/relate to you better! The lessons are nicely illustrated with archetypal mythic stories e.g. the classic myth of the "red shoes". An Email when this Holistic Lifestyle page is Updated?